Today's NaPoWriMo prompt is "​to draft a prose poem in the form/style of a postcard." By the time you are old enough to read this, it is my heart's longing that you and I are tea and sugar, pouring the aura of wonder and warm belonging into one another's lives. I long to see you giggle uncontrollably with my Ana, to see you dance for joy with my Eric. I long to see you all three rolling through the garden until you dog-pile with exhausted fullness. I long to read to you all on my knees and in my lap, and even more to let my cup overflow with your own stories. But we're an ocean away - I know how that ocean can become a wall, no less separating being water and not stone, a subtle conqueror ... the moment you catch a glimpse through the mist and spray, it swirls again in front of you. You'll have so many others in your life, you'll have no need of us...we with our words and day-to-days foreign to yours. You'll barely see our faces ...once every two years... who knows. All this rains down on me. You've barely stepped out of your cocoon and already it seems you've flown beyond our sight. Is the best I can hope you'll have heard of my name? From two, we now were three! 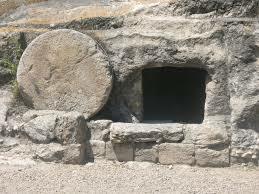 What was to come we did no know. and we did not know. but we did not know. wondering when your ears could hear. waiting to hear your heartbeat. Will we one day be with you? hear your heart and see your smile? My heart, not knowing, weeps. But I know God knows. Today's NaPoWriMo prompt: ​“when you hear it, you write it down.” Today, we challenge you to honor this idea with a poem based in sound. I will rock you, my baby, in my heart all my life..."
​the game I could play all my days. Today's NaPoWriMo prompt, from which I've picked-and-chosen to suit my purpose, is to write "a poem in which a villain ... is revealed to be human." Today's NaPoWriMo prompt is to "write a haibun that takes in the natural landscape of the place you live." I have never written a haibun before and want to work on this one more in the future, but here's what I have so far. The rosy child picks the grass’s first sun-spoken exclamations: soft yellow affirmations, deep purple praises, thin-petaled white joy-cries. They are for her Grandmaman and for her mother. But another’s desire is set on these riches. And he comes armed, tiny but mighty weapon ever-ready, faithful to the will of his queen. Will the trusting joy of the child be a sacrifice to the loyal servant’s quest? And who’d be in the wrong? The child taking food from the mouths of a kingdom, or the warrior blind to an innocent’s pain? As I missed yesterday, I will combine yesterday's and today's prompts for my NaPoWriMo poem into one. Thus, in this poem the big meets the small...simultaneously. but never would I cut them. *Note: You may ask what this has to do with magic. But to me it is magic that this beautiful child is so different from anyone else in our family. That from the way she looks to her already poetic thoughts, she is all her own. (Yesterday she not said but sang to me, "Mama is a rainbow in the sky..." This sung to a Mama who has hoped and prayed her depression wouldn't be a rain cloud over her children. What more of a blessing could one ask.) This poem shows just a part of the magic that is my daughter. Today's http://www.napowrimo.net/ prompt was (as I took it) to list some identities that describe oneself (mother, wife, teacher, Swiss resident, etc. ), think of them in terms of which showed power and which vulnerability, and then have one of the former talk to one of the latter. 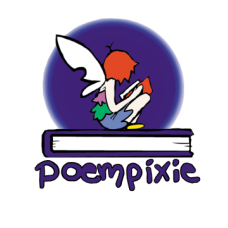 Here at Poempixie we have a lot of fun with imagination and fantasy. But there are facts that mean so much more, including this: Jesus gives new and eternal life to everyone who follows Him! He loves each of you so much that He gave His life so you could be with Him forever, and He lives now, hoping you will choose to accept His gift! first grade, second grade, and kindergarten in the United States and now tutor and nanny children in Switzerland, where I live with my husband.